I read this article and found it very interesting, thought it might be something for you. The article is called IPL Live Score: Star Sports, Hotstar live cricket streaming CSK v SH IPL T20 with highlights and is located at http://www.panasiabiz.com/10299/ipl-live-score-star-sports-hotstar-live-cricket-streaming-csk-v-sh-ipl-t20-with-highlights/. 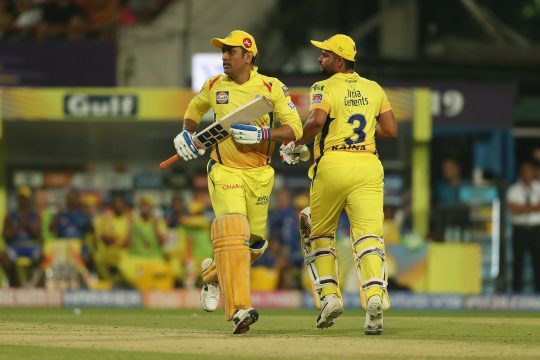 Table toppers Chennai Super Kings, led by MS Dhoni will take on Sunrisers Hyderabad in the 33rd match of the Indian Premier League on Wednesday, April 17, 2019. The match starts at 8 PM IST. Suresh Raina the standi-in skipper for Chennai wins the toss and decides to bat first. Watch the CSK vs SRH live streaming on Hotstar here. Sunrisers Hyderabad, once table-toppers, have now slipped to the sixth place in the VIVO IPL 2019 standings. They have now suffered three consecutive losses, two of them at home. The previous time these two teams met was 2018 final, which CSK won, chasing down 179 thanks to Shane Watson’s century. The big worry for SRH is the lack of depth in their batting line-up. Star Sports will broadcast in India with live stream on Hotstar.com with Hindi and English commentary. Chennai has a couple of injury worries, Harbhajan Singh did not play the previous game while MS Dhoni is suffering from a back spasm. Don’t be surprised if he rests himself from the grueling schedule to keep himself fit for the big matches coming ahead. This match may not do much impact on Chennai in terms of the points. Bangladesh will call Sunrisers’ Shakib Al Hasan back from the IPL next week for World Cup preparations. Manish Pandey and Yusuf Pathan have a good chance of returning to the playing XI. A well versed news editor for over 12 years now, Parasshuram knows everything that is hot in Asia, particularly India. Cricket fan during the week and a movie buff on weekends, Parasshuram is a husband and a father of three. Parasshuram hails from Hubli, India, where The Media Marketing company is incorporated and where he runs our newsroom. On top of being the best Chief Editor in the world (the team says so), Parasshuram also the person in charge with recruiting and training of writers on topics that PanAsiaBiz (PAB) covers for our readers. Mr Shalgar’s articles have been circulated to well over 60+ million visitors. Read all his articles on the site.